Mary K. Bessignano, 108, Sun City Center, Florida, formerly of Logansport, Ind. and Anderson, Ind., passed away in Belvedere Commons, Sun City Center, Fla.
Born Sept. 13, 1910, in Logansport, Ind., she was the daughter of Michael and Angeline Cappoli Sundy. She was married to Dominic A. Bessignano, who preceded her in death on Feb. 1, 1996. Surviving are a son, Donald (Linda) Bessignano, Sun City Center, Fla.; grandsons, Brian (Christie) Bessignano and their daughter Maya, all of Denver, Colo.; and Kevin (Carrie) Bessignano, Fishers, Ind. ; and sisters Addie Perrone, Logansport, and Lucy Griffith, Fort Thomas, Ky. The Mass of Christian Burial was celebrated at noon on Saturday, March 30, 2019, at All Saints Catholic Church. Visitation was from 10 a.m. to noon prior to the Funeral Mass in the Parish Hall at All Saints. Interment will be in Ever Rest Memorial Park, Logansport. Memorial contributions may be made to All Saints Catholic Church, 112 E. Market St., Logansport, IN 46947. Henry Spencer Faircloth, Lt. 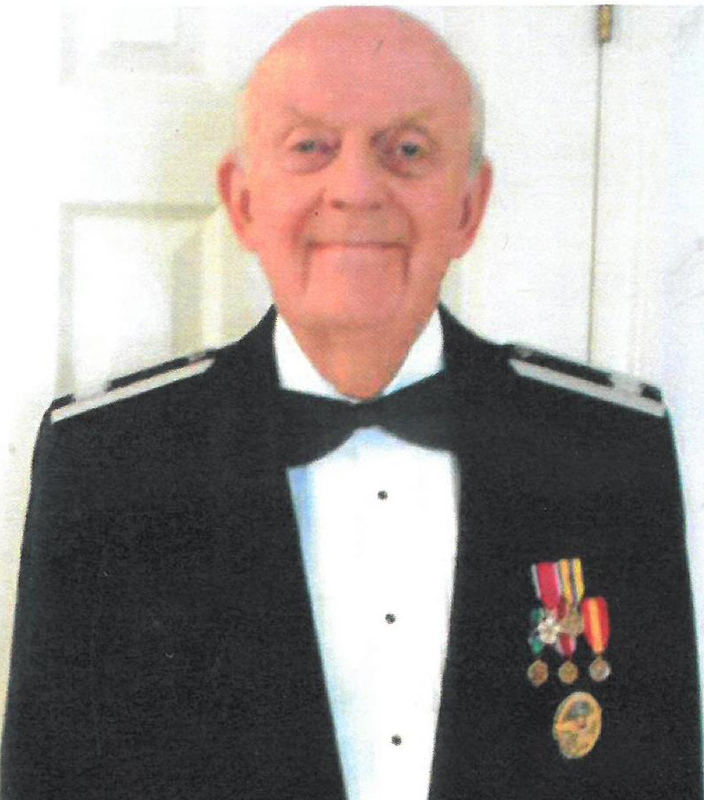 Colonel USAF Retired, a longtime resident, and SunTrust Banker at Sun City Center passed away on March 27, 2019. Spencer was born in Albany, Georgia, on July 21, 1929, the son of Una Lee Hall Faircloth and William Young Faircloth, who predeceased him. His Father served as a pharmacist in World War I, and afterwards owned and operated a drug store in Leesburg, Georgia. Spencer’s wife of 52 years, Mary S. Faircloth, preceded him in death. His brother, Colonel William Y. Faircloth, Jr., who was a career officer in the Florida National Guard, preceded him in death. His sister, Mary Elizabeth Faircloth, who as an Army Operating Room Nurse Supervisor served in Japan and Korea during the Korean War, and then as a consultant on the National Staff of the American Red Cross preceded him in death. He is survived by nieces and nephews, Elizabeth Lee Faircloth Hunt (Mark), J. Elaine Faircloth Neese (Michael), Edward William Faircloth (Jennifer), and Ronald Spencer Faircloth (Ruth). After graduating from Leesburg High School, he attended Oxford College of Emory University at Oxford, Georgia for two years and then attended Emory University in Atlanta where he graduated with a Bachelor of Arts in 1951. He immediately enlisted in the U.S. Air Force and subsequently graduated from Officer Candidate School as a Second Lieutenant. He graduated from a number of military schools, including the Armed Forces Staff College. He received his Masters’ Degree from the University of Tennessee. During his Air Force career of 24 years, he had a number of special assignments. He served on the Graduate School faculty of the University of Pittsburgh, on the White House Staff as the Director of a Presidential Committee during President Nixon’s administration, and on the staff of the European Office of Aerospace Research at the American Embassy in Brussels, Belgium. During the Vietnam war, he served at Air Force Headquarters as the Chief of the Casualty Assistance Branch where he served as a letter writer for President Johnson, and later, President Nixon. In 1953, Spencer met Mary at England Air Force Base in Alexandria, La., and they were married in Verdun, France, on May 21, 1955. Mary and Spencer remained a devoted couple. When you saw one of them, the other was not too far away. Spencer retired from the Air Force May 1, 1974, and remained working until his death. He was a Life Loyal Sigma Chi member and was awarded his 50 year pin as a Master Mason. He served as Vice President of the Equitable Life Assurance Society in New York; as a Vice President of Century Twenty-One Corp Headquarters in Irvine, California; as President of Lakeview Condominium Conversion Company in Louisville, Kentucky; as President of the National Community Housing Corporation, Tyson’s Corner, Virginia; EVP of the Retirement Corporation of America, Bradenton, Florida; Vice President of Mortgage Finance for Oppenheimer & Company, New York, N.Y.; Vice President and General Manager of Freedom Group Development at Sun City Center, Florida. After over 18 years as First-Vice-President-and-Trust officer of SunTrust Bank in Sun City Center, Florida, Spencer retired for the third time, but afterwards spent many years as a Director and Trustee of the Military Officer’s Benevolent Corporation (MOBC), as a member of the Sun City Center SunTrust Bank Advisory Board, as a Member of the Board of Keep Hillsborough County Beautiful Inc. (KHCB), and as a member of the Board of the South Bay Hospital. In 2015, Spencer published his Memoir, From Watermelon Inspector to the White House. Donations to Life-Path Hospice are suggested rather than flowers. Jean Anne Egeland Hedstrom of Sun City Center passed away Wednesday, March 27, at her home in the Knolls subdivision of Kings Point. She was surrounded by her family. Jean was born in 1925 in Grand Forks, North Dakota, and grew up in Detroit. She attended Pershing High School in Detroit. She was preceded in death by her husband Iver. She is survived by three sons, Mark Hedstrom of Sun City Center, Kurt Hedstrom of Plant City, and Todd Hedstrom of Clarkston, Michigan. She has six grandchildren, all of whom were at her bedside at her passing. A celebration of her life will be held at the Waterside Room in the North Club House in Kings Point Saturday, April 6, from 1 to 3 p.m.
John Libroth, 94, died March 23, 2019. John retired from Ringhaver in Riverview. Preceded in death by his wife of 54 years, Mary Libroth, he leaves three children and two grandchildren. Visitation will be April 6, from 1 to 3 p.m. at Zipperer’s Funeral Home Ruskin. Funeral will be held April 8 at 10 a.m. at Prince of Peace Church in Sun City Center. 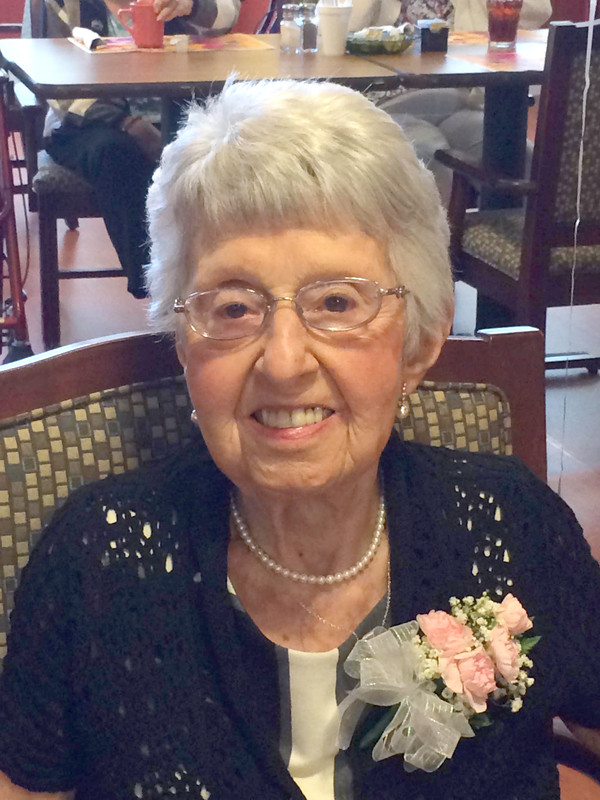 Thelma Roggenkemper, 102, passed away peacefully at home March 4, 2019. She is survived and will be missed by her niece and family.